This is the tallest and largest heron in the world. It occurs at the edges of large lakes and swamps, where it can wade deeper than other herons. Other habitats include mudflats, mangrove swamps, rivers, and papyrus swamps. When not breeding, birds are either solitary or live in pairs. A Goliath I leron tends to fish over the same areas daily. It often hunts among thickly crowded floating vegetation on tropical waters or wades up to its belly in open water, either stalking slowly or standing still to watch for prey. When about to strike, it lowers its body, head, and back-curved neck to crouch near water level. The neck has a kink that can suddenly straighten, shooting the head forward. I'rey is mostly impaled 011 the sharp point of the hill or sometimes seized in the bill. I'ish. frogs, small mammals, reptiles, and invertebrates are taken. Like other herons the Goliath has special patches of downy feathers on its lower body. These constantly break down to a powder, which the heron works into its plumage w ith its bill as part of the preening process. 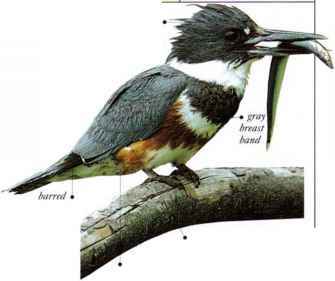 The powder absorbs fish slime, and the heron cleans both off together with the comb-shaped claw of its front middle toe. The call of the Goliath is a deep, repeated, raucous note. Flight is slow and heavy, with the legs sagging slightly. Goliath I lerons usually nest in pairs, sometimes at the edge of mixed colonics of birds of other species. • NEST A platform of sticks and reed stems, placed 011 top of growing sw amp vegetation, in a bush, in a low tree, or on the ground.